Today we’d like to introduce you to Hillary Lewis and Yaya Margarita. Hillary and Yaya, can you briefly walk us through your story – how you started and how you got to where you are today. Yaya and I both grew up with a love of dance and have trained in many different styles starting at a young age. Dance and movement has always been a huge part of our lives, but when it came to exercise, we both struggled to find a workout that was as exciting and engaging as dance! After years of less than exciting gym sessions, both of us started finding workouts that we loved and were inspired to bring these ideas to our community. They realized that fitness didn’t have to be a chore, but something you really looked forward to! Say goodbye to boring and repetitive workouts! We have worked really hard to create a community, our #ShineSociety! We are still developing our clientele as we have only been open a year! 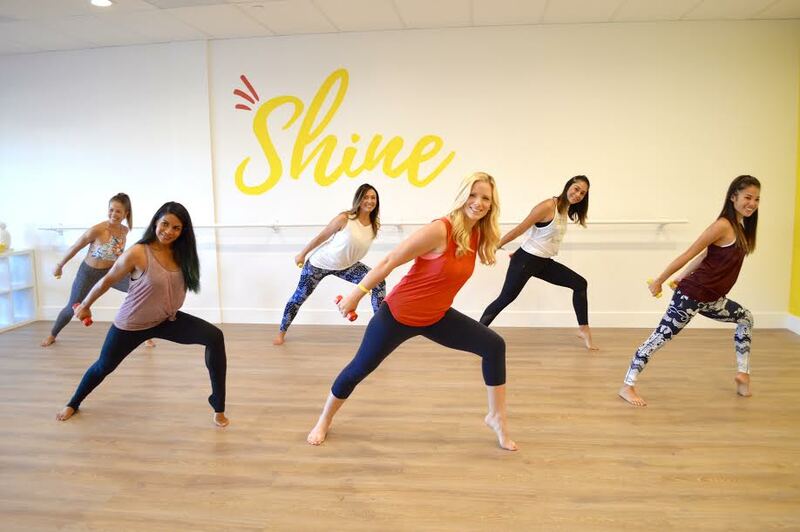 The people that we have met through Shine Studio are some of the most caring, genuine and wonderful individuals and we feel so lucky to see them in class every day. We want every person to feel comfortable and welcome walking into our space and know that this is a place to have fun. See friendly faces, and workout with NO JUDGEMENT! 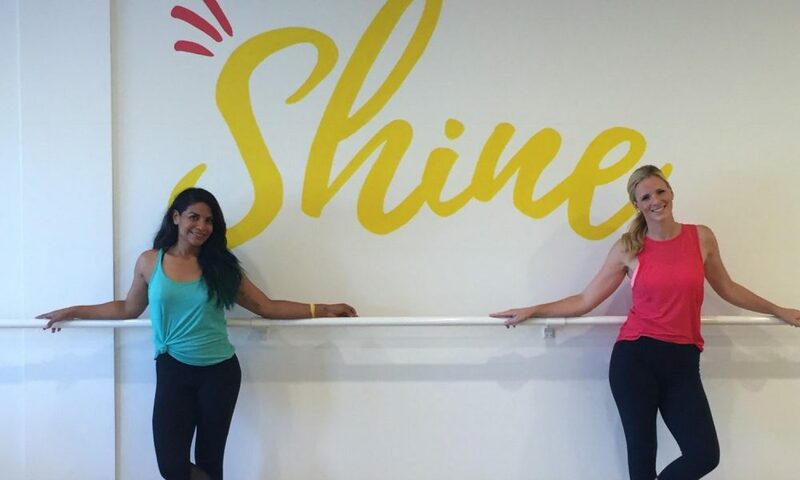 Shine Studio is about changing the way you think about exercise! Working out does not have to be a chore or something you dread. You should look forward to it and love the way you feel when you complete a class! All of our workouts are to fun music and we vary our movements in each class to keep it interesting. Our strength training workouts, BarreBabe, PilatesRemix, and YogaJam, are our own unique formats that are meant to strengthen and tone the whole body. For cardio, we have Cardio Dance classes called SpiritFit and PopFit, and the amazing rockout-workout (with drumsticks! ), Pound! We LOVE the Southbay as it’s an area where there are a lot of people that focus on living healthy lifestyles. There is a huge fitness community out here because of that and we are so proud to be a small part of it!